Here is a look at the new 13th Anniversary pins for Hong Kong Disneyland! Available September 8, 2018 at the Emporium (Main Street, USA) at HKDL. Limited edition of 500. This is the second set of pins to come out in the collection. 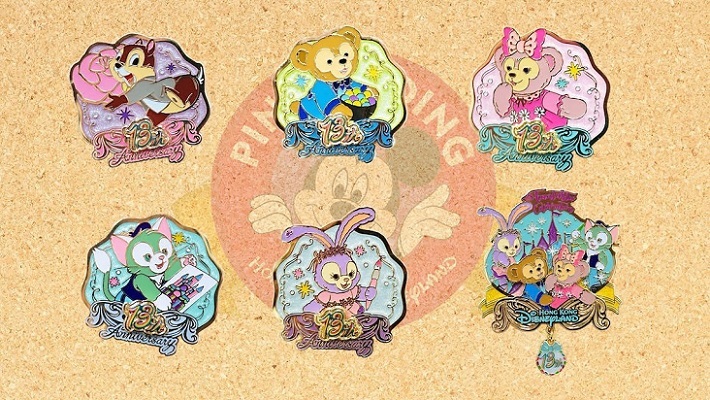 Click here for more Hong Kong Disneyland pin releases.